Listed below are some of the rivals of the Sigma 28mm F1.4 DG HSM. The Nikon AF-S Nikkor 28mm f/1.4E ED is a new professional ultra-wide-angle lens. Aimed mainly at full-frame DSLR users, but also compatible with DX bodies where it provides a focal range of 42mm, the Nikon 28mm f/1.4 is ideal for professional photojournalists and landscape photographers. Read our in-depth Nikon AF-S Nikkor 28mm f/1.4E ED review complete with full-size sample images. 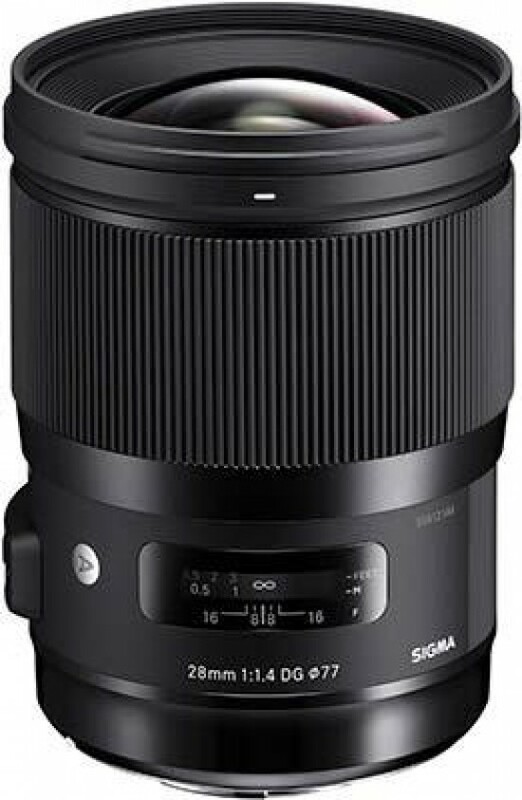 The Sigma 35mm F1.4 DG HSM is a moderate wide-angle lens in the full-frame format, or a fast standard prime when mounted on an APS-C body. The 35mm f/1.4 features 13 optical elements in seven groups with one aspherical lens element and a HSM focusing system which provides quiet, smooth and fast autofocus with full-time manual focus override. Retailing for £799 / $899, read our expert Sigma 35mm F1.4 DG HSM review to find out if it's a worthy alternative to the Canon, Nikon and Sony equivalents.